ICFs are gaining market share in the hospitality industry as owners recognize they’re a perfect solution to decrease energy costs and sound transmission between rooms. But there are other benefits as well. A surprising number of hotels have already been built with ICFs, many of which are owned by well-known national brands. They’re often the best performing buildings in the chain. In recent years, this segment of the commercial market has gained even attention from the ICF industry, as hospitality sector construction has continued to grow despite the recession. This effort has paid off in a wide range of significant projects, ranging from high-end Marriott and Hilton hotels to Super 8 and Comfort Inns for the budget-minded traveler. Insulated Concrete Forms are ideally suited for the hospitality industry. The fact the owner will be paying the utility bills for heating and cooling a large volume of conditioned space makes energy efficiency a top selling point. But sound attenuation and structural strength are also significant. 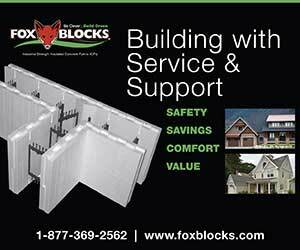 ICFs can also provide an advantage on congested jobsites, since less heavy equipment is involved. Here’s a look at several of the landmark ICF hotels that have been built to date. Readers will notice that most ICF hotels are between three and five-stories, although taller ones have been built. 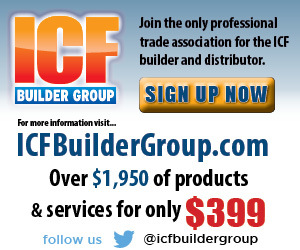 For the installer and distributor, they’re a great money-making opportunity, since they’re usually quite ICF intensive. 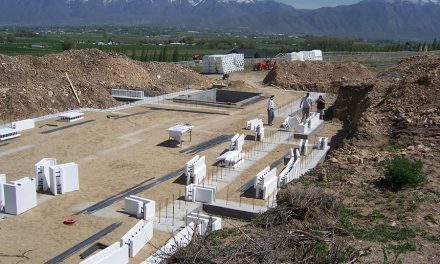 It’s not uncommon for ICFs to be used for all exterior and interior walls, with some type of foam flooring system as well. 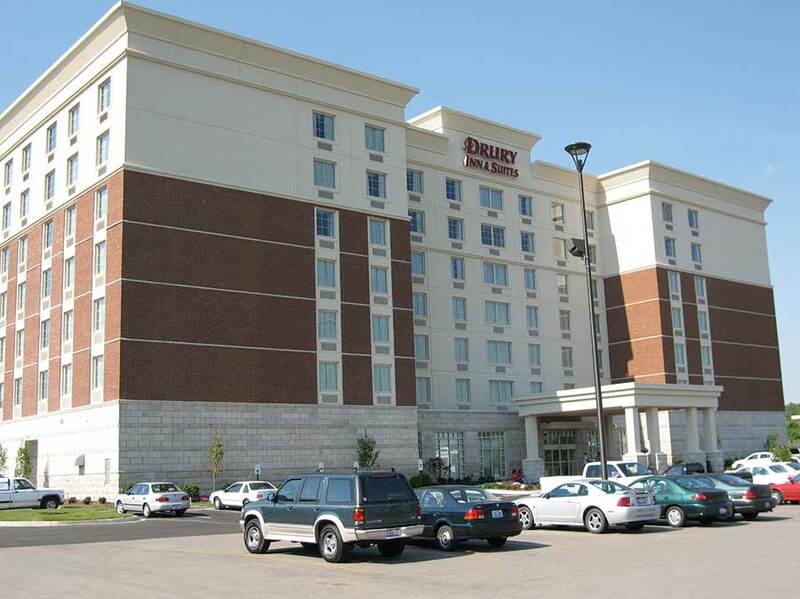 One of the first hotel chains to try ICFs was Drury Inns, a Missouri-based, family-owned chain with an emphasis on quality, service, and value to the customer. When I spoke with Steve Bollinger, vice-president design and construction division in 2005, the company was just beginning construction on four 180-room ICF hotels. 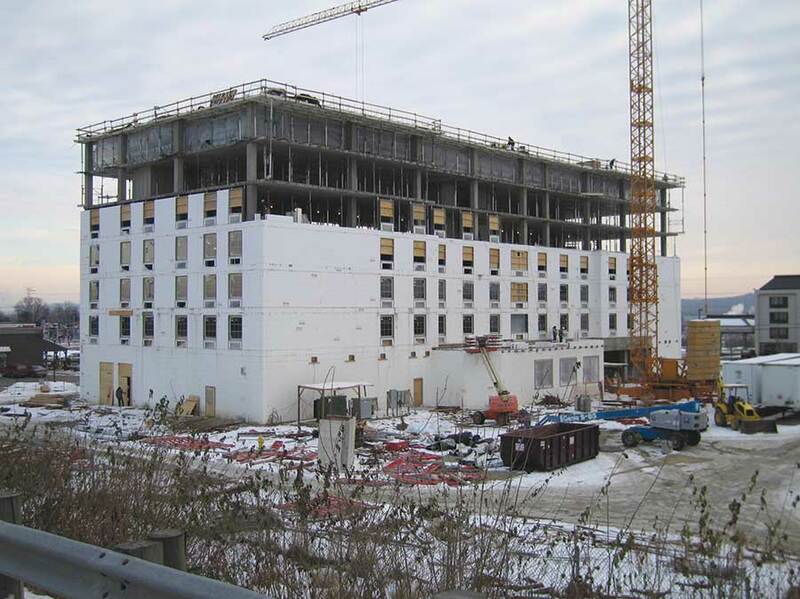 Amvic eventually was chosen as the ICF of choice, and has been used on several jobs since, including a seven-story lodging in Indianapolis that used more than 6,000 cubic yards of concrete. 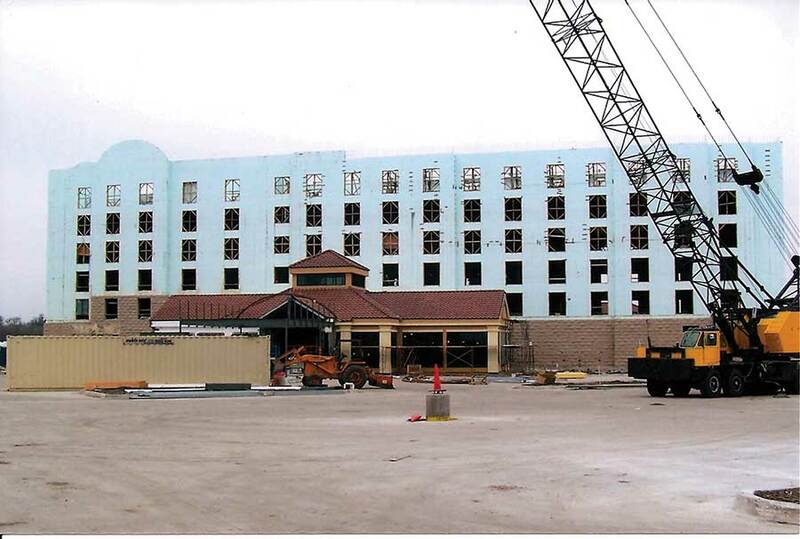 Drury Inn was one of the first hotel chains to implement ICF construction on a large scale. 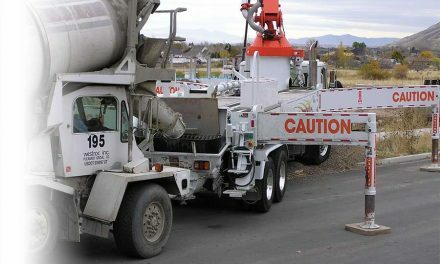 The Indianapolis facility here used more than 6,000 cubic yards of concrete. 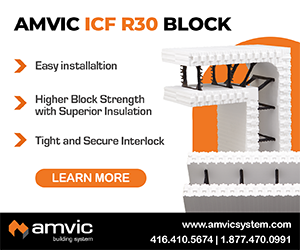 According to Gary Brown, Amvic’s vice president of marketing, Drury appreciated ICF’s quicker construction time, the fact that construction schedules were unaffected by weather, and that it provided a highly durable, consistent, standardized, essentially “foolproof” wall. “The greatly improved energy efficiency, sound attenuation, maintenance requirements and green aspects were also appealing,” Brown adds. The building uses ICF as structural infill—but not load-bearing—walls. The first floor, with walls reaching 15 feet, used a 6” core. The remaining walls used 4” core. 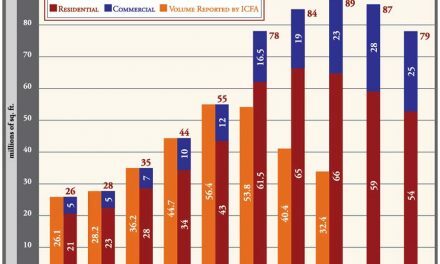 The chain, which already has almost 150 properties, is firmly committed to use ICFs in the future. 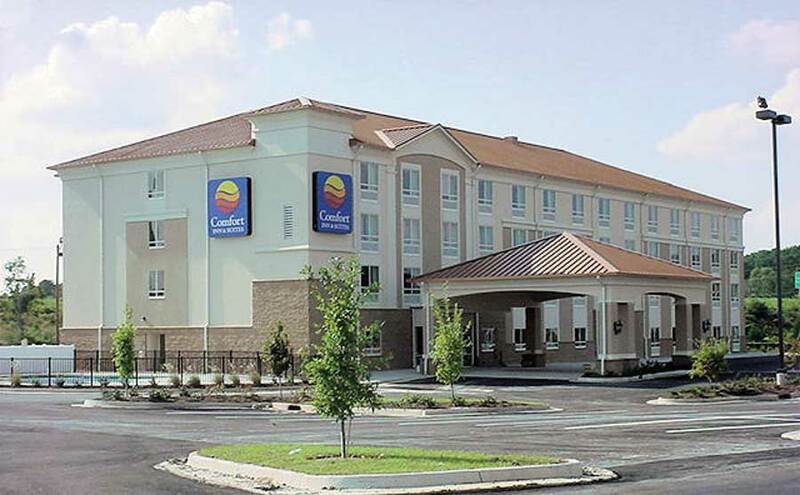 Another milestone project is the Comfort Inn in Tifton, Ga. 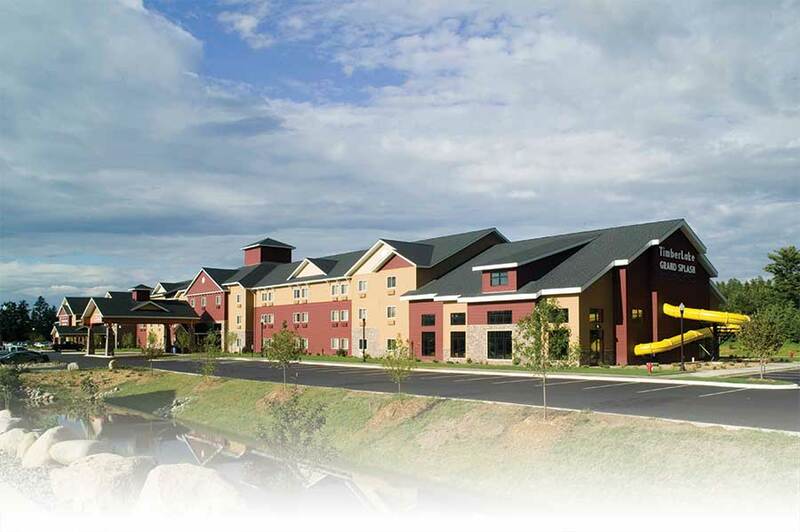 The owner, who operates several other lodging properties in the region, calls it the “best built hotel in our company.” The walls, constructed with IntegraSpec ICF, keep out the traffic noise on the nearby interstate, minimize energy bills, and can withstand the very worst of Mother Nature. Comfort Inn has used ICF as early as 1997. This Georgia motel, built in 2006, used 116,000 sq. ft. of forms and was completed in only four months. The site soils were not optimal, but with careful engineering, the design team was able to use interior ICF demising walls to spread the weight of the structure more evenly over its footprint, eliminating the quarter-million-dollar foundation costs. It also tripled the number of forms needed. The 65,000 sq. ft. structure used 116,000 sq. ft. of insulated concrete forms. 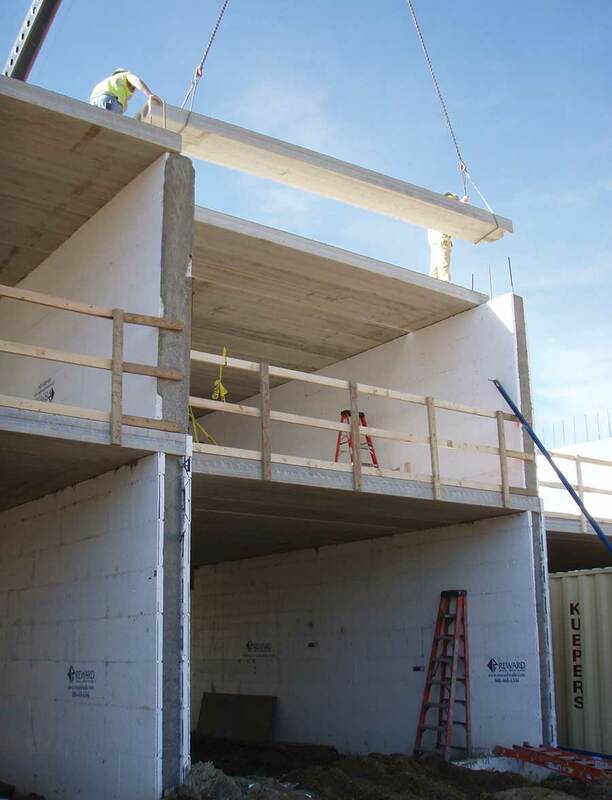 Work began in mid-March 2006, and the walls went up fast.Workers were stacking walls on the fourth floor before the first floor was completed. The entire project was completed by the end of June 2006—less than four months!—at a price competitive with stick frame construction. Jim Buttrey, director of marketing at IntegraSpec, estimates the project cost about $78 sq. ft., compared to $165 sq. ft. for an equivalent concrete structure made with removable forms. 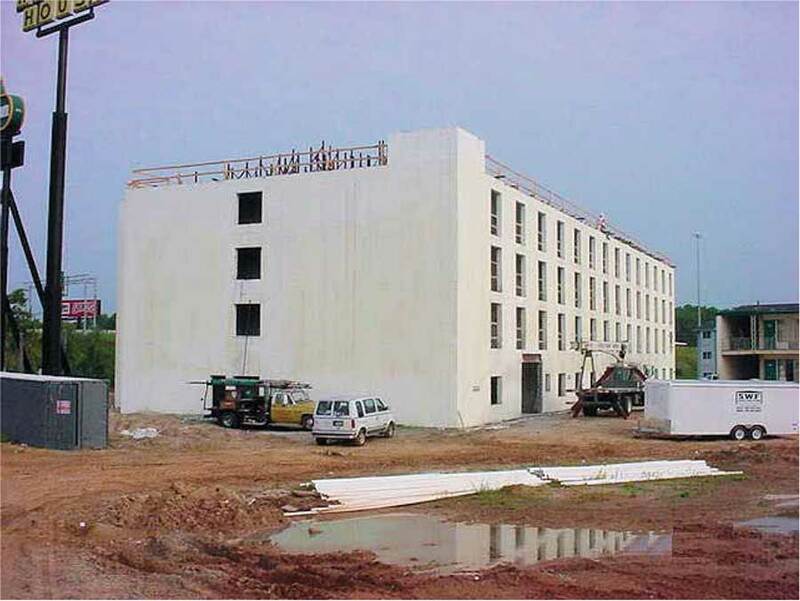 For efficiency of construction, new levels of service, and innovative use of ICFs, the Tifton Comfort Inn was named one of the winning heavy commercial projects in the 2007 ICF Builder Awards. Mark Ross, one of the builders of the Tifton project, says that job has led them to several other noteworthy projects, including the Holiday Inn Express in Peekskill, New York. 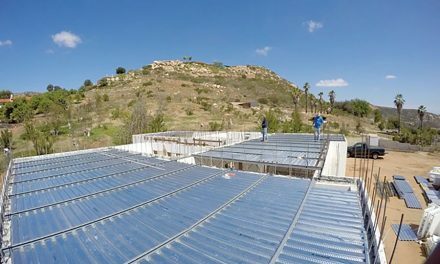 According to Ross, the owner has analyzed energy efficiency for the last 2½ years and found ICFs to be the simplest way to achieve his sustainable construction goals. The five-story building, when completed, is expected to be the most energy efficient hotel in the United States, and achieve LEED Platinum status. Construction documents and jobsite photos are available at www.greenholidayinn.com. Grande Crowne Resorts, with facilities in Tennessee, Mississippi, and Missouri, chose ICFs when they needed to expand their Branson property. The new building had to exactly match the other buildings already at the site, which had been built with steel. The skyrocketing price of steel convinced the designers to look at ICFs; they eventually chose Reward. The 51,000 sq. ft. building was completed in about 180 days. General contractor WCI, which also installed the forms, says ICFs proved to be “the right choice every step of the way.” In addition to the exterior walls, ICFs were also used as demising walls between units (for sound dampening) near the stair wells (non-combustible rating) and for the elevator shafts (sound and fire ratings). The contractor found other efficiencies as well. The insulated forms eliminated many steps associated with wall construction.Instead of installing “steel, insulation, sheathing, foam, and finish,” once the concrete was poured, the wall was already insulated, furred out, and ready to finish. The project went so smoothly, in fact, that the biggest problem apparently was finding HVAC units small enough for the suites. The Hilton Garden Inn, in the Dallas-Ft-Worth Texas area, is another excellent example. The developer of this project originally intended it to be built with CMU, but architect Glenn Griggs convinced them to build with ICFs by guaranteeing that the finished wall assembly cost less than masonry block. Combined with the additional benefits of energy efficiency, sound attenuation, mold resistance, and structural performance, that guarantee was enough to convince the owner/developer to modify the plans. The architect of this Texas Hilton guaranteed the owner that the project would cost less than CMU. 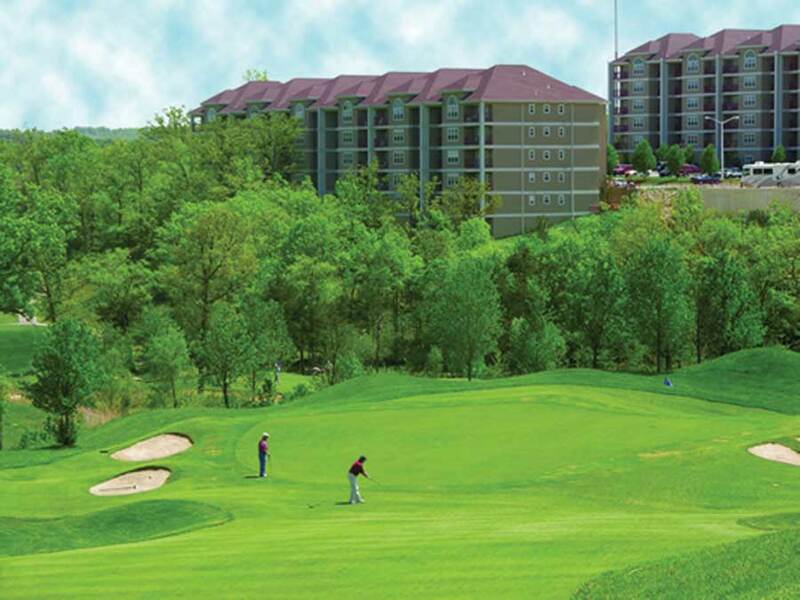 Publicity from this job has led to at least 12 other ICF hotel projects across the state. 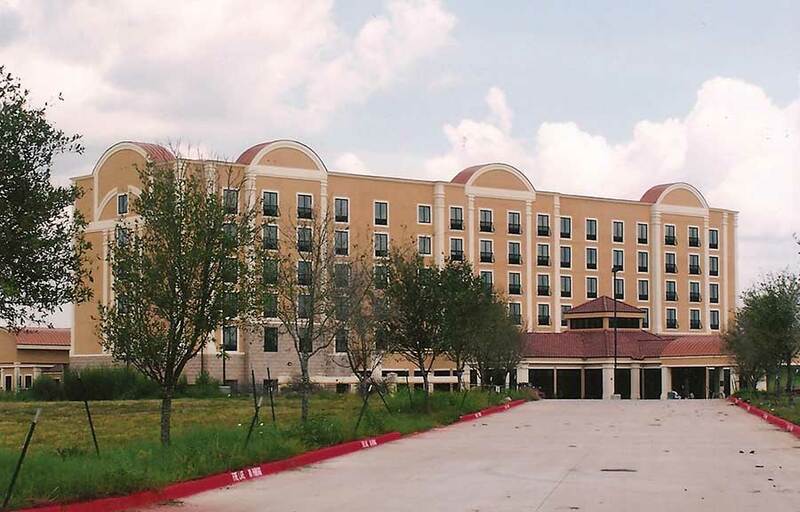 The owner calls it “the best Hilton Garden Inn in the system,” and is building another 6-story hotel in Garland out of ICFs as well.Final construction costs for the Lewisville project were less than 1% more than originally budgeted using traditional construction. Loren Munn, who served as GC, is finishing another ICF hotel just off the George Bush Highway—doing the ICF installation himself—and has poured the foundation for the third job. The six-story, 143,000 sq. ft building was built with Nudura partly because the form has a U.S.-based UL rating as an assembly. As construction progressed, however, installers found other significant advantages. For example, they kept the job on schedule during the unusually wet, cold spring weather. The installation crew worked in the snow for several days—highly unusual for Texas—when CMU construction would have ground to a halt. Additionally, the foam blocks were light enough that they didn’t require a forklift to move materials around on the muddy site. All of the exterior walls—including the arched parapets—are made from ICFs, as are the walls of the interior hallways and elevator shafts. The project is not the first ICF hospitality project in Texas. (That honor goes to a four-story Comfort Inn near Kingsville, built in 1997 with Reddiform.) But the Hilton Garden Inn is one of the most visible hotel projects in the state. 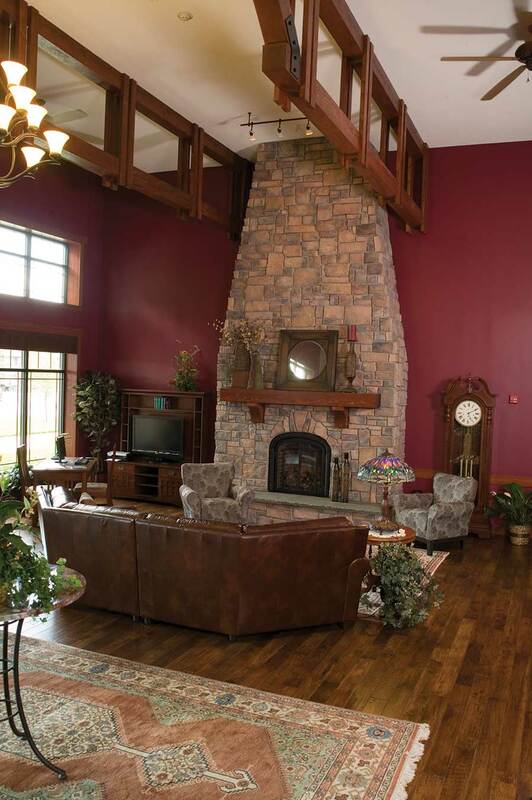 Built in Grand Rapids, Minnesota, the Timberlake Lodge is one of the more unusual hotels in the state. A waterslide at one end of the building penetrates the exterior wall, then loops back through the wall and empties into the indoor pool. Timberlake Lodge, like most of the other projects featured here, used ICFs for nearly all interior and exterior walls. Built with Reward ICFs all the way to the 54-foot gable ends, the owner chose the wall system because it had the strength to support the precast concrete flooring and could accelerate the construction schedule. ICFs also provided a superior fire rating between units (4+ hours), great sound dampening (STC 55+), energy efficiency and thermal comfort. ICFs were used in the pool area because of their mold-resistant properties. The $9 million, 42,000 sq. ft. facility opened just nine months after groundbreaking. As predicted, the early occupancy greatly reduced financing costs and increased profitability. There’s a Super 8 Motel in nearly every town in America, but very few of them can compare with the property in Monterey, Tennessee. Finished in November of 2008, this 28,000 sq. ft. motel is the only lodging facility in the town. But that’s not why it’s unique. 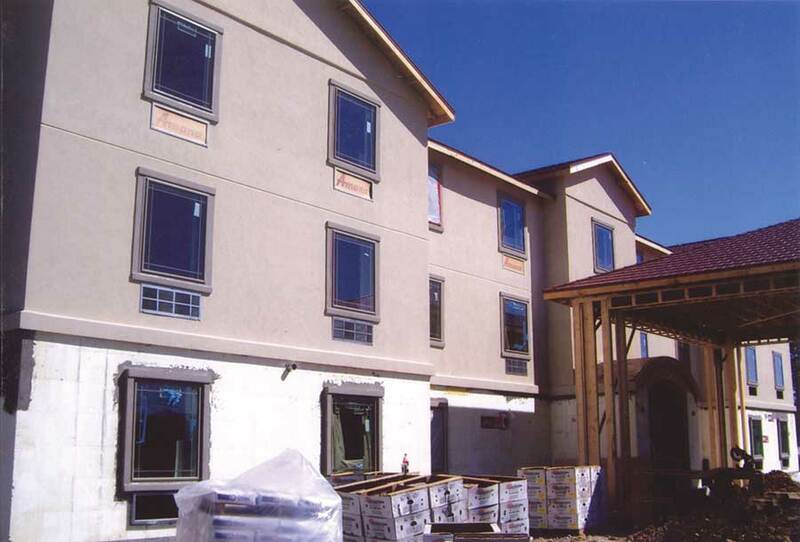 For starters, this motel was built with Logix ICF, which offers the same remarkable energy efficiency and sound attenuation that has been noted in many of the other ICF hotels featured in this story. Located just off Interstate 40, noise would have been a major concern with conventional wall systems. 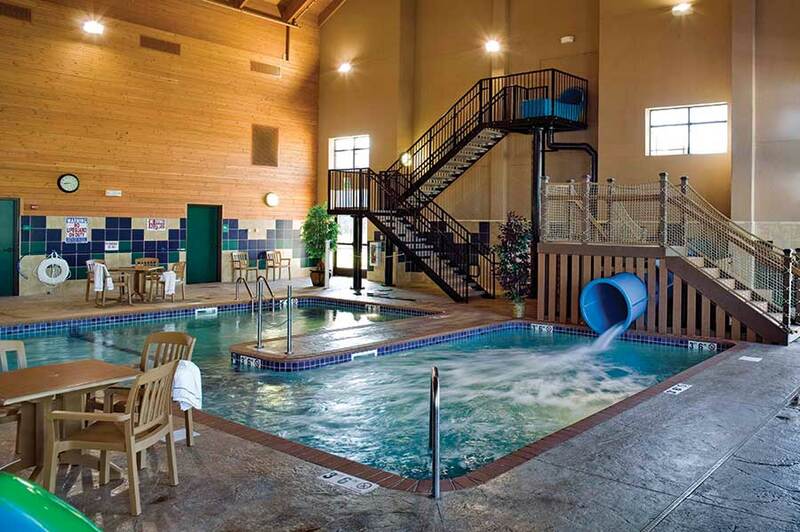 Like the Timberlake Lodge, this Super 8 used ICFs for the indoor pool area. 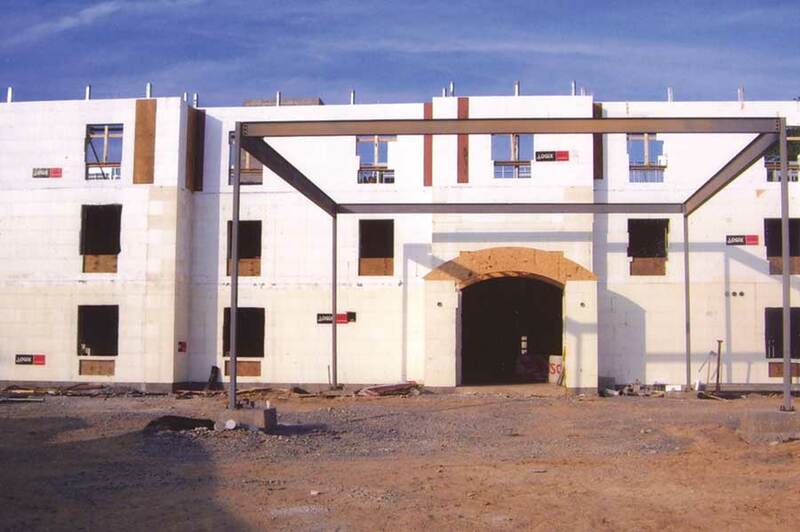 And like the Tifton Comfort Inn, it utilized ICFs for all the interior and exterior walls. Perhaps most remarkably, the building was completed for only $71 per sq. ft. This 28,000 Super 8 motel in Tennessee was completed for only $71 per sq. ft. but still offers superior strength, fire resistance, sound attenuation and energy efficiency compared to conventional construction methods. Obviously, the range of hospitality projects being built with ICFs is beyond the scope of any single article. (Nudura alone has been used for jobs stretching from New Brunswick to West Texas.) Rodney Hubble of Force 5 Walls has built a series of top quality Marriott Hotels in the southeast. In addition to Marriott, other hotel/motel chains building with ICFs not featured in this article include Microtel Inns, Future Inns, Candlewood Suites, and several others. Obviously, ICFs have much to offer the hospitality industry. By working together as an industry—not undercutting each other—this building system can obtain an even greater market share.